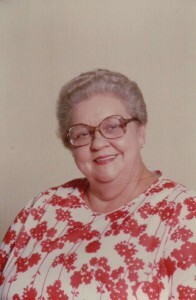 Dorothy was my Sunday School teacher, youth group leader and my first Avon Lady. Dorothy loved kids and when you’re a kid, you know who loves kids and who doesn’t. Dorothy spent time with me. We talked, we laughed and we ate ice cream together. Dorothy gave me responsibility by letting me help her with Avon, packing orders and even going on calls with her. If you’re like Dorothy, you may be tempted to think the care and time you give to kids is nothing special, but it is. Caring for kids is a gift not everyone has. You are special to the kids you touch and the time you spend with them is important. It’s never forgotten and it means a lot. Thank you, Dorothy. This entry was posted on Sunday, February 6th, 2011 at 3:00 am	and is filed under Want to Talk About (Whatever). You can follow any responses to this entry through the RSS 2.0 feed. You can leave a response, or trackback from your own site.